Text to Speech with friendly female voice. Image to word library covering common nouns. Ability to add your own images and video to the word library. Assign your own images or videos to words. 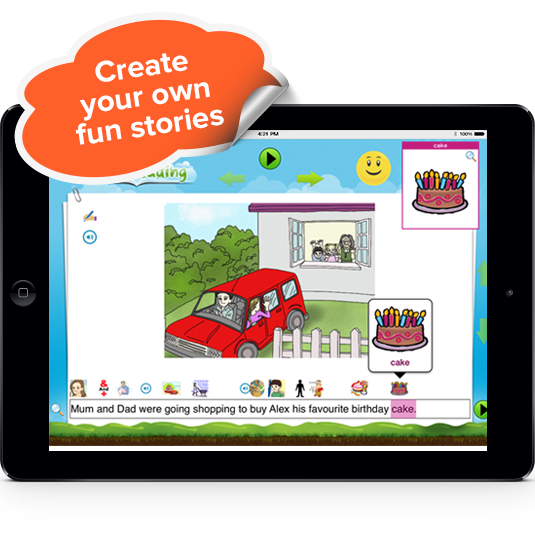 Create your own fun stories. Help create a concrete association between words and images. Use the built-in library of 760 words-to-images or extend the library by adding your own images or videos to words. Zoom the word image or play any video associated with the word. Mute audio to encourage the child or adult to speak the word.